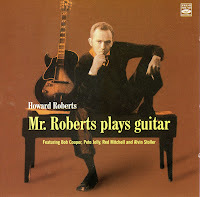 When I think of twentieth century jazz guitarists, one of the most notable is Howard Roberts. Not only was he an excellent guitarist, he was a teacher and guitar designer. He left his mark in the recording industry as well as television. When you hear the Twilight Zone theme, you are hearing Roberts playing guitar. He also played the guitar part on The Munsters TV theme song. He played rhythm parts for many other shows including I Dream of Jeanie, the Andy Griffith Show, Green Acres, The Beverly Hillbillies, Dragnet and many more. 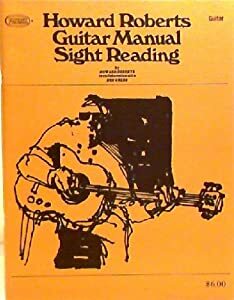 As a teacher, he wrote jazz guitar instruction and guitar theory books. His music education philosophy was the the basis for G.I.T., the Guitar Institute of Technology (now the Musicians Institute of Los Angeles. Howard was also an instructor at the school. 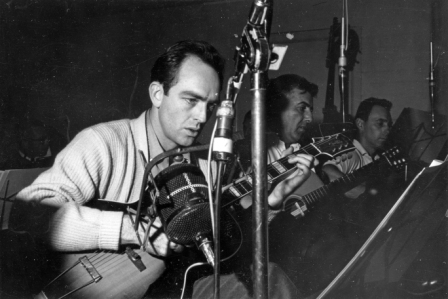 As a session musician, Howard Roberts, like other session players brought an entire trunkload of instruments to work and often used a Fender Broadcaster for recording and television work. 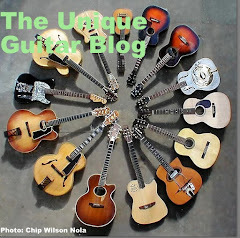 When it comes to guitars Howard Roberts name is on several fine instruments. Some were custom made and some were mass produced. All were made to his specifications. 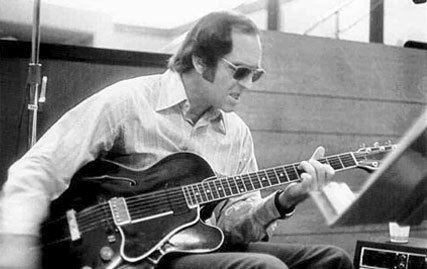 Throughout his life, Howard favored Gibson and Epiphone archtop guitars. 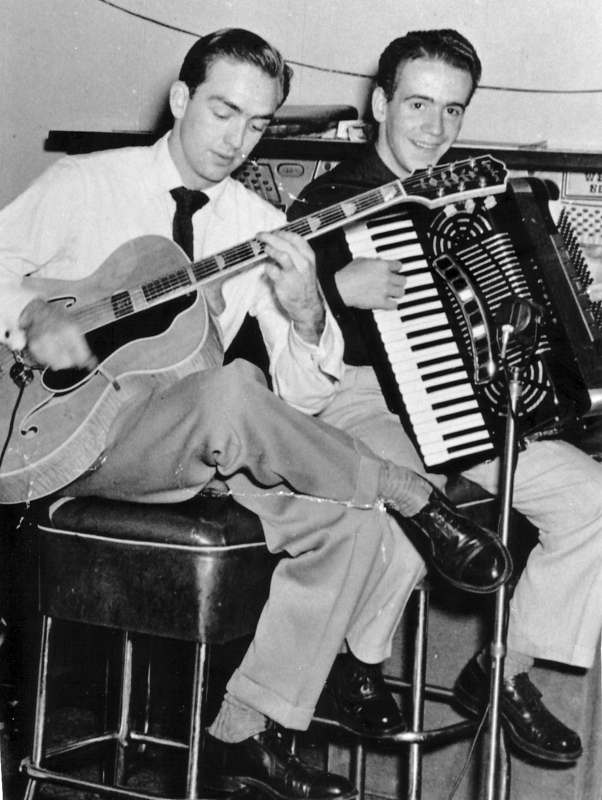 Early on Howard played an Epiphone Deluxe with a DeArmond pickup. 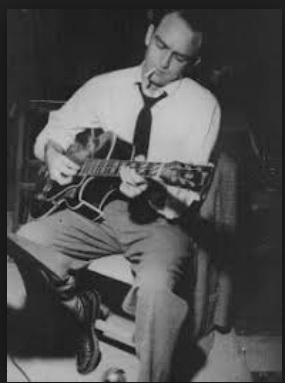 He acquired a Gibson L-5 with a DeArmond pickup attached and later a Gibson L-10. 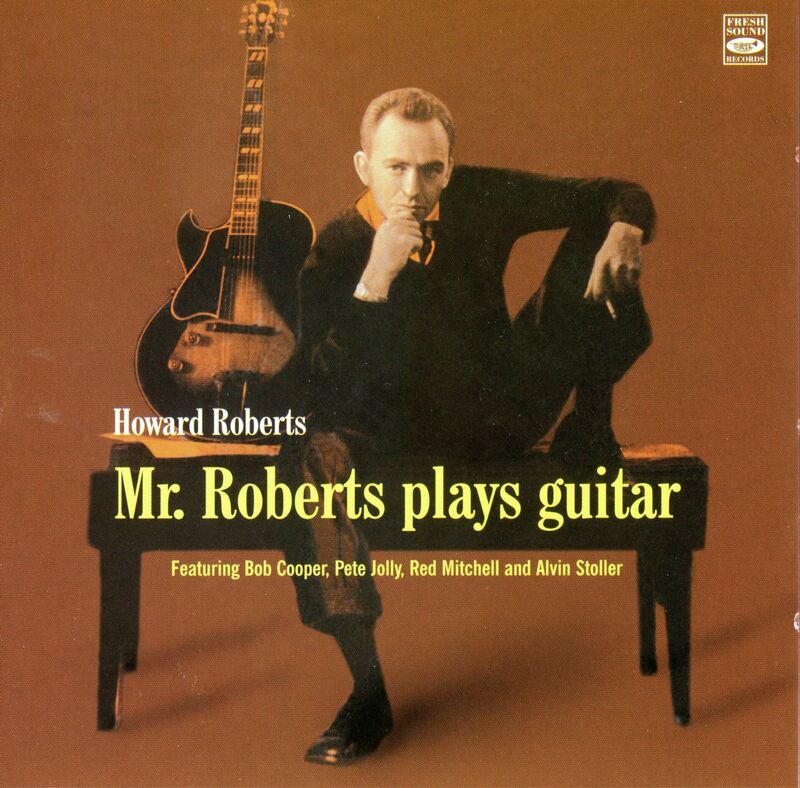 In the 1950's Roberts acquired a Gibson ES-175 with a single neck pickup. This was his main guitar throughout the '50's. He had a second ES-175 with a square hole cut into the guitars back. No one knows why he did this to the instrument. Roberts was approached by CMI to design a signature guitar. His goal was to produce a guitar that he could hear over the amplification when he was playing. CMI assigned this to their newly acquired Epiphone division. Instead of traditional f-holes, he decided on an oval soundhole under the strings. The body style was similar to an ES-175. Epiphone made these guitars with a carved solid spruce top, three-piece maple neck, and a Florentine cutaway on the lower bout and a single floating mini-humbucking pickup just below the neck. Binding on the body was 7 piece binding on the front and 3 piece on the back. The guitar was offered in custom and artist versions. The artist version had gold plated hardware and a finer finish. 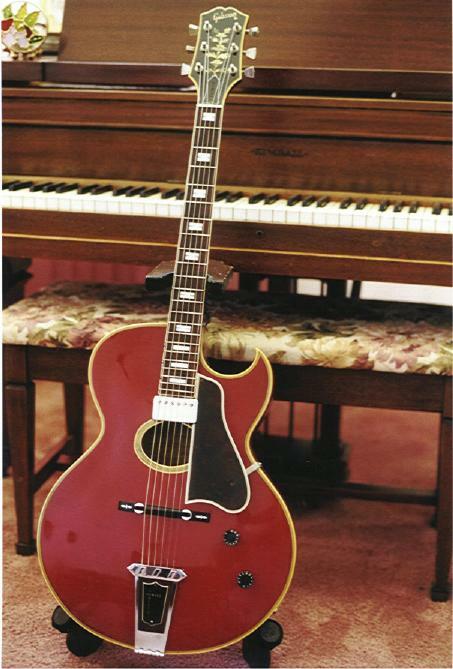 You can see Howard's Epiphone cherry red prototype in the classic book American Guitars, by Tom Wheeler. (If you do not own this book - get it!) Roberts thought the Epiphone guitars were too fragile and too expensive. There is a possibility the pickguard vibrated against the top of his instrument. The color pictures in American Guitar show that Roberts stuffed a matchbook between the scratchplate and the body. CMI assigned Gibson to build the next run of Howard Roberts guitars. The entire body was made of maple on these instruments. The maple tops on the Gibson guitars were laminated. This guitar had a 25.5" scale, which was longer than the Epiphone. There was an option for a second pickup was added at the bridge. The Epi version had a volume and tone control, while the Gibson HR guitars had a volume and tone control, plus a mid-range roll-off control. Gibson maintained the elaborate headstock pearl inlay, which was on the original Epiphone model. 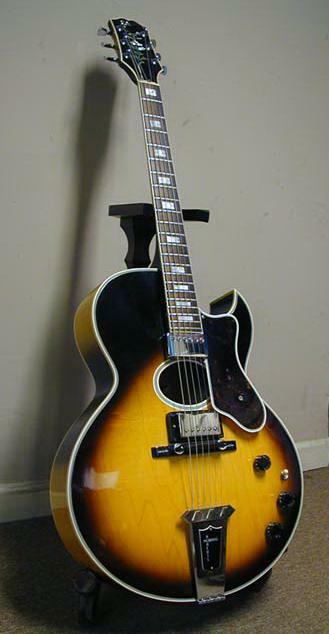 The Gibson version sported a regular sized humbucking pickup or twin humbuckers. There is also a Gibson Howard Roberts Custom model that was available with a Frequensator tailpiece, which was designed to make the length of the bass strings longer for a tighter feel, and the treble strings shorter for easier lead work. Next Gibson designed the Howard Roberts Fusion III. 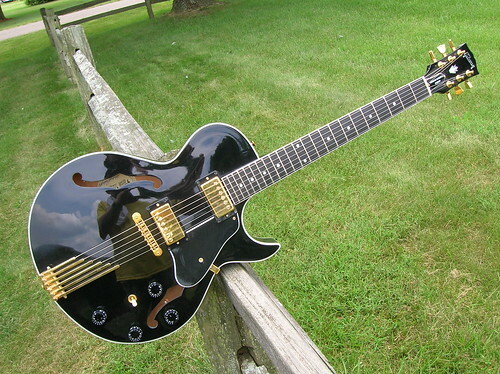 The final Gibson Howard Roberts guitar is the Howard Roberts Fusion. This guitar was made to handle both rock and jazz. It features twin humbucking pickups and a stop tailpiece, which cuts down on amplifier feedback. Possibly the most interesting guitar Howard Roberts owned was The Black Guitar. I believe this may be currently owned by collector/player Wolf Marshall. This guitar started out as a Gibson ES-150, which we know as the Charlie Christian model. This guitar originally belonged to Herb Ellis. This guitar was featured in the August 2000 Vintage Guitar magazine in an article by Wolf Marshall. Roberts had this guitar modified to his specification, which meant the depth of the guitars needed to be made thinner by cutting the instruments sides and then replacing the back. Roberts also added a pronounced cutaway on the guitar and smaller one on the guitar's upper bout. The bar pickup was replaced with a P-90, later a humbucker was added to the bridge area. The guitar was painted black with white binding. The control knobs, headstock, pickguard, and tuning keys were all changed. Howard Roberts designed the H.R. Chroma guitar as a teaching instrument. Only a handful were of these produced. The strings are multi-colored to correspond with the notes in the Howard Roberts Chroma instruction book. Labels: Howard always strung his arch-top electrics with extra-heavy Gibson Monosteel strings: .016-.018-.028.-.038-.048-.058. His pick was a medium-heavy celluloid type gauged about 37/1000 of an inch. 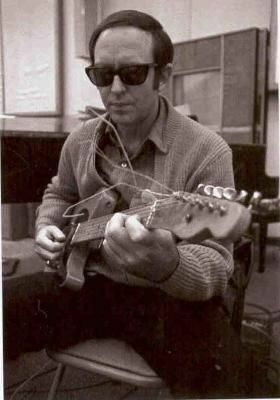 Does anyone know the guitar he was using on the "Bullitt Score" with Lalo Schifrin ? new links, no password, enjoy! I am trying to identify this Gibson player...just searching and found your blog about Howards Roberts. Thanks for any help! Follow our signals right now & gain up to 270% daily.